Contact lenses allow you to create the ultimate transformation within seconds. 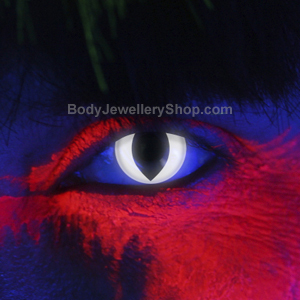 UVÂ contactÂ lenses are some of the coolest contacts amongstÂ our unique range ofÂ fashion accessories. UV lenses are specifically designed to glow bright under ultra violet (UV) light, also known as blacklight. UV Lens colours are extremely bright and fluorescent; whether you’re out for a night of clubbing, going to a festival, Halloween party or fancy dress event… your UV Lenses are bound to get you noticed from miles away, guaranteed! 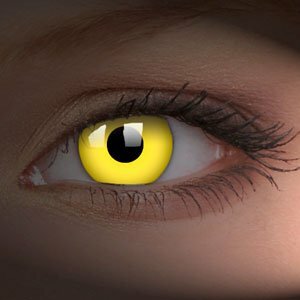 UV contact lenses are available in a great range of colours including Yellow UV Lenses, Blue UV Lenses, Green UV Lenses, Pink UV Lenses, Red UV Lenses, Orange UV LensesÂ and Violet UV Lenses. We even have a choice of brands to suit all budgets. 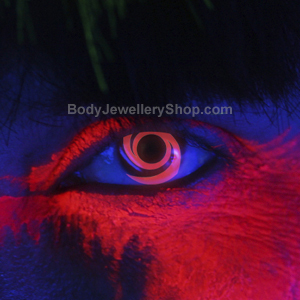 Funky eye UV contact lenses are the cheaper option, whilst Crazy UV contact lenses are the top range option. Are UV Lenses Safe to Wear? All of our contact lenses are safe to wear, designed forÂ cosmeticÂ purposes only. Contact lensesÂ are onlyÂ sold as non-prescription fashion accessories only, so they do not require examination orÂ vision-correction to use them!Â Simply popÂ your UVÂ contact lens into each eye and you’ll be the funkiest, coolest rave bunny around! How Long do UV Lenses Last? UVÂ lenses are made from ColourVue clever Hydrogel material, meaning that theyâ€™re soft to the touch andÂ durable, keeping your eyes moist andÂ healthy. 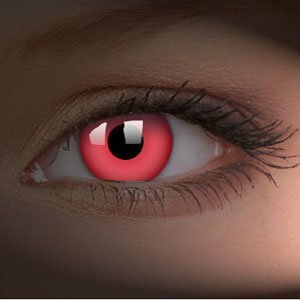 Each UV contact lens has a one year lifespan, meaning you can freak people out again and again! Don’t forget to purchase your contact lens storage case and contact lens solution to keep your lenses clean. 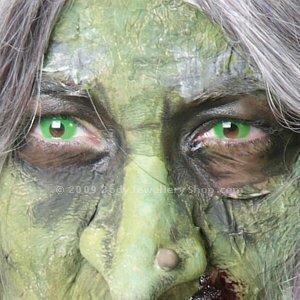 This entry was posted in Contact Lenses and tagged Glow Lenses, Ultra Violet Lenses, UV Contact Lenses, UV Contacts, UV Lens, UV Lenses on November 12, 2009 by Piercing Guru.